SAVE THE DATE FOR 596 ACRES’ GALA: A GOLDEN GARDEN GLOVE AFFAIR! You might recall that your favorite community land access advocacy organization throws fantastic parties. On Thursday, June 1 from 7pm to 10pm, join 596 Acres along with Council Members Inez Barron, Antonio Reynoso and Rafael Espinal in Gowanus as we honorBangladeshi American Community Development and Youth Service (Cityline), BK ROT(Brownville) and Isabahlia Ladies of Elegance Foundation (Brownsville) for making our city stronger! The Gala will feature DJ James Mulry, live music by Consumata, installations by J McDonald, haircuts by Coiffeur NYC, beer by Lagunitas, cider by Red Jacket Orchard and so so much more. Buy your early-bird tickets here! $50 until 5pm on next Friday, April 21. Facebook event here. Faces of Isabahlia and its supporters above by Murray Cox from this celebration. 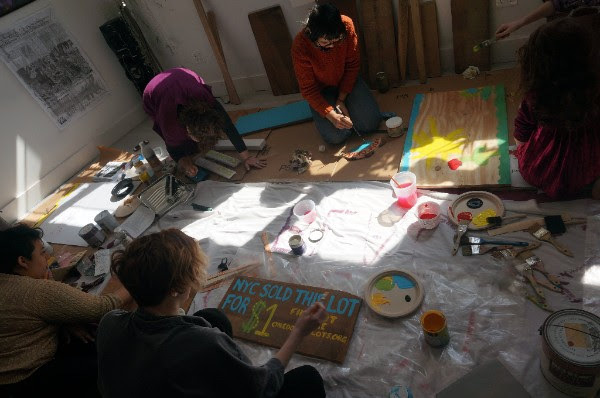 HELP PROTECT 377 COMMUNITY PLACES AT RISK FROM THE TAX LIEN SALE! In less than 30 days, our city is planning to hand over the fate of 377 community properties like churches, mosques and veteran resource centers to private profiteers. Here’s what you can do! After serving as 596 Acres’ Executive Assistant since January 2016, Mara Dawn Kravitz is delighted to take on this new role in celebration of the city we share. Read more here. 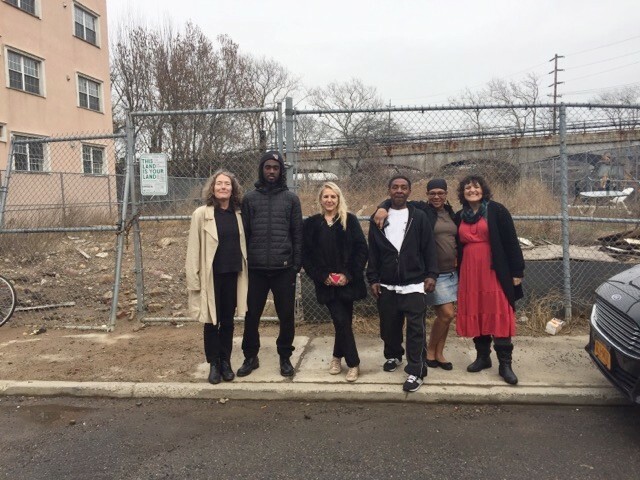 Prospect Lefferts, Brooklyn – Last week, NYC Parks announced they are beginning the Uniform Land Use Review Procedure (ULURP; more on that here) to acquire Maple Street Community Garden between Rogers and Nostrand (parks press release here and press coverage here)! It’s super important that the garden’s supporters show up at the first public hearing: next Wednesday, April 19 at 7pm! Community Board 9, Ebbets Field Middle School 352 at 46 McKeever Place. Once public, Maple Street will finally be protected from this deed fraud fiasco (that story here). Stay tuned for future public hearing announcements. For information and updates, email maple3garden@gmail.com and/or sign up to Organize here. Bedstuy, Brooklyn – Join Patchen Community Square (Patchen and Putnam) this Saturday, April 15 from 11am to 3pm to build a rainwater catchment system! And this Sunday from 3pm to 4pm, there’s an Easter Egg Hunt for kids. Open hours (starting mid-April until October) areSaturday and Sunday, 8am to 8pm. Many more upcoming events, like a planting day next Saturday, April 22 from 11am to 3pm, listed in here. Flatbush, Brooklyn – Q Gardens‘ CSA (Community Supported Agriculture) is open for sign-ups! Get a weekly box of veggies from a local farmer from May through October that you pick up at the garden at East 18th St between Church and Caton Ave. It’s a great way to support the local food system and up your intake of organically-grown vegetables! Sign up here. Connect on facebook here. West Harlem, Manhattan – Mandela Community Garden (a 596 Acres facilitated wildflower garden on city-owned land at W 126th St near Frederick Douglass) is going before Manhattan Community Board 10’s Land Use Committee next Thursday, April 20 at 6:30pm at 215 West 125th Street, 4th Floor. Sign this petition now! Read more here and connect on facebook here. Rockaway, Queens – The Rockaway Labyrinth is here to stay! Last Spring, Nancy transformed unused Parks Department property at Beach 78th Street and the boardwalk into a temporary community walking meditation tool. Last Monday, Council Member Ulrich’s office announced funding is in his budget to make it last – the result of continued local advocacy! Nancy is a doctor who conceived of the labyrinth as an alternative mental health strategy to help her community in the ongoing aftermath of Hurricane Sandy’s devastation. See her proposal here. Contact Nancy to plug in: nancygahles@gmail.com. See photos and sign up to Organize for updates here. North Brooklyn – NAG, Neighbors Allied for Good Growth, is hosting free soil testing workshops in North Brooklyn focused on lead contamination in our city’s soils, and how to avoid exposure (advice here). The first is next Saturday, April 22 from 10am to 2pm at Greenpoint Reformed Church, 136 Milton Street. Bring a bag of your soil and get it tested for free! Soil test collection advice here. Event info here. Here’s a photo with folks from NAG, 596 Acres and other members of our Legacy Lead consortium after our meeting last week! Lenox Hill, Manhattan – On Wednesday, April 26 from 5:30pm to 8pm, join the NYC Urban Field Station at The Rockefeller University, 1230 York Avenue in Manhattan to talk about urban soil. What do we know about NYC soils based on the latest research? What are some of the broad implications of that research for human health, environmental remediation, urban agriculture, and forest restoration? Event information and register here. 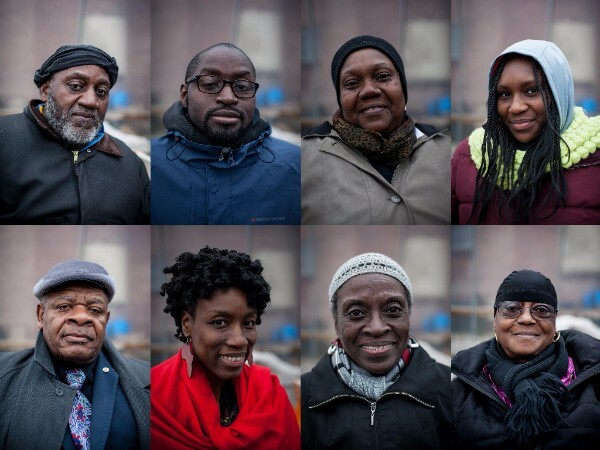 Long Island City, Queens – Join the NYC Real Estate Investment Cooperative (NYCREIC) on Thursday, April 27 at 7pm at Flux Factory, 39-31 29th Street, for a screening of My Brooklyn. 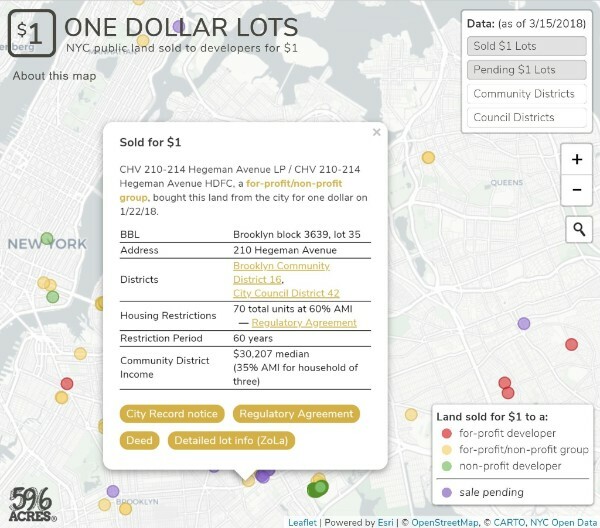 The NYCREIC is organizing to heal deep racial wounds embedded in our urban development patterns – this documentary’s focus – via democratic finance and community land trusts. Meet the coop’s member-investors and organize together! Event info here. Connect here. Learn new gardening skills at upcoming GreenThumb workshops! Here’s the list. Green City Force is hiring Team Leaders for the Urban Farm Corps to start ASAP! Folks with a few years experience in agriculture, youth development, national service, or community organizing and experience working in low-income communities with serious leadership skills should apply. Send resume, three references and cover letter with salary requirements to jobs@greencityforce.org with “Urban Farm Corps Team Leader” in the subject. More info here. GreenThumb Gardeners! Spring supply distribution is this Saturday, April 15 from 10am to 1pm. If nobody RSVP’d for your garden, you can still pick up supplies from 12:30pm to 1pmincluding wheelbarrows, garbage bags, gloves, shovels, compost, and more. Pick-up locations in each borough (two in Brooklyn) all listed here. If you can’t make it this Saturday, come to Long Island City Compound at Queens Plaza South and 10th Street under the Queensboro Bridgenext Thursday, April 20 from 11am to 2pm. More info here. New York Restoration Project Tree Giveaways! NYRP is giving out native trees on the weekends at different locations starting next Saturday, April 22 until early May. Get a Tulip Poplar, Serviceberry, Black Tupelo and more – if you agree to plant it in one of the five boroughs and take care of it! More info here. 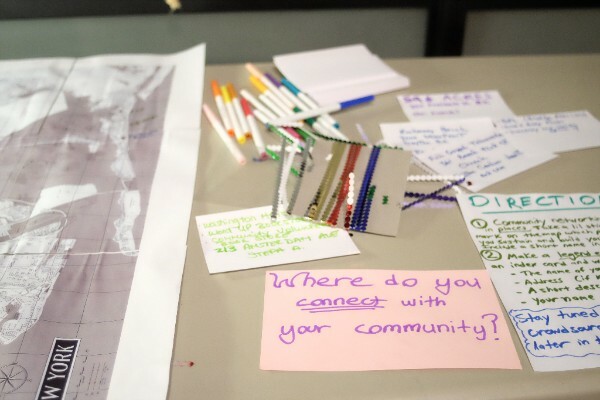 The Fund for Public Health NYC, on behalf of the Building Healthy Communities initiative, is accepting proposals for community-based organizations and groups activating neighborhood streets and public places through the Our Streets & Spaces Request for Proposals. Eligible neighborhoods include: Morrisania, Mott Haven, Hunts Point, East Harlem, and Brownsville. Deadline is Monday, May 1. More information here. Questions? Email mstewart@fphnyc.org.